This week I have my 1st entry at Simon Says Challenge. Theme of the week is "Receycling". I pimped an empty cuke glass. 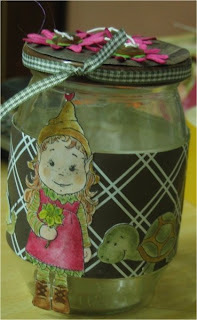 Wonderful pimped jar :-) ( I love that word :-)) The image is very cute , love everything about it !! Danke fürs mitmachen bei der SimonSaysChallenge. 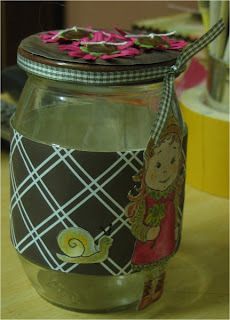 Great job with the jar. Love the image and the flowers. 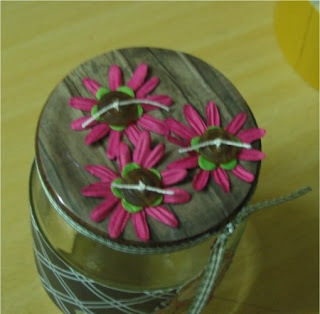 Beautiful jar and love the flowers on the lid.